Making the decision to sell your property is in itself a big step, so let Lucas Estate Agents help you with the process here on in. We can meet you at your property at a time that is convenient to you, and give you an expert valuation using our vast local knowledge of both the market and trends. As soon as we are instructed by you to market the property, we put together the sales particulars, have the for sale board erected and upload the information onto the main property websites; Rightmove, Primelocation and Zoopla as speedily as possible. Our database of potential buyers will also receive automatic notification that your property is on the market. It's obvious, but the sooner we get your property out there, the sooner it will sell! First impressions count when it comes to selling a property, so it's vital your home looks its best for potential buyers. Maintaining this condition will give you the best chance of selling your home and of achieving the best possible price, whether you're selling a terrace house or a country retreat. We will visit your property to carry out a market appraisal and give you our opinion on price; this will be supported by a market comparable report and an explanation of how we arrived at the price. When you are ready to put your property on the market, we will order the Energy Performance pack, which is a legal requirement to sell your property, and arrange an appointment to prepare sales particulars, create a 3D floor plan and take photographs of your property. We will produce detailed particulars on your property, with high quality images to show it off at its best. These details, along with an Energy Performance Pack which we will arrange for you, will be uploaded onto our website and filtered out to several other property sites including Right Move, Zoopla and Prime Location. We also hold a database of potential buyers who will receive an automatic notification that your property is now on the market, and alongside this, we will erect a For Sale board, produce displays in our office and arrange for advertising in local newspapers. Your property will have exposure using social media, via Facebook and Twitter. Prospective buyers will contact us to arrange an appointment to view your property. Providing it suits you, we are able to offer viewings 7 days a week. Following the viewing, we will contact the viewer for feedback and report back to you, this provides an opportunity to carry out any adjustments needed to the property to enhance its saleability. When we receive an offer on your property, we will contact you verbally and in writing, and provide all the information you require to make a decision. All offers are subject to contract and is not legally binding on you or the buyer until exchange of contracts. 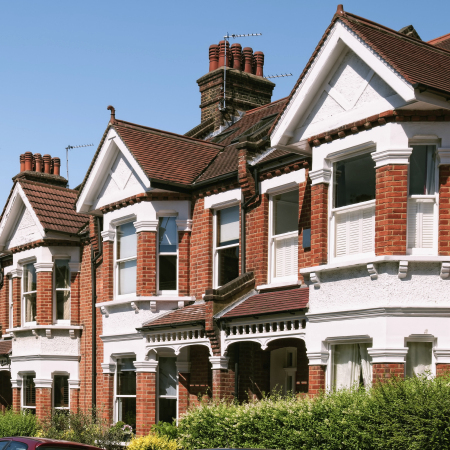 Once you have accepted an offer, you will need to appoint a solicitor to handle the legal paperwork involved as part of the sale process and subsequent transfer of ownership. If the buyer is raising a mortgage to purchase your property, a mortgage valuation will be required, this will be carried out by a surveyor on behalf of the mortgage lender to advise on the valuation and basic condition of the property. Exchange of contracts will take place once the contract has been signed by you and the buyer, a deposit, normally a percentage of the purchase price is paid. It is at this stage that the transaction becomes legally binding for both you and the buyer. On exchange of contracts the completion date is set. This is a date set a few days or weeks after exchange of contracts. The remainder of the money is now transferred from your buyer's solicitor to your solicitor, at which point the buyer becomes the new legal owner of the property.